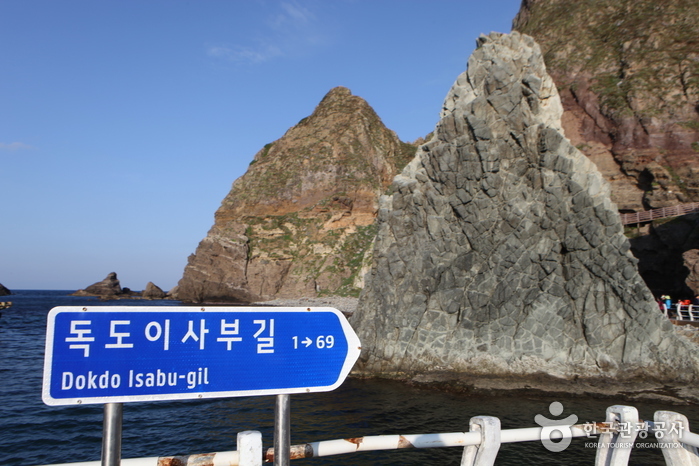 Located 87.4km away from Ulleungdo Island, Dokdo Island is an isolated group of volcanic islands and rocks on the east coast of Korea. 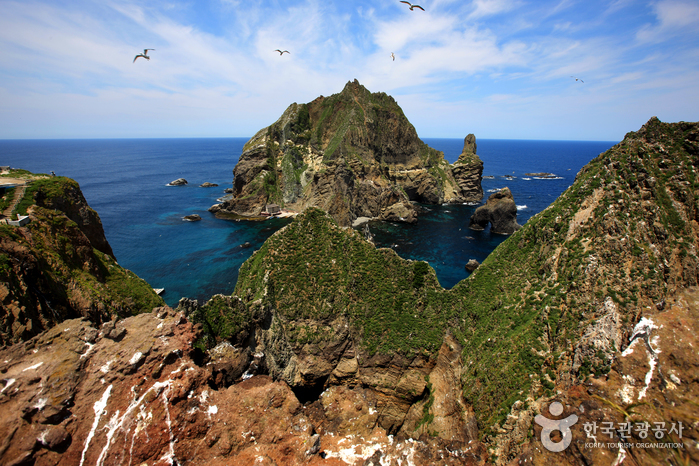 The two major islands of Dokdo are named Dongdo Island, located at a latitude of 37°14'N and a longitude of 131°52'E, and Seodo Island, located at a latitude of 37°14'N and a longitude of 131°51'E. 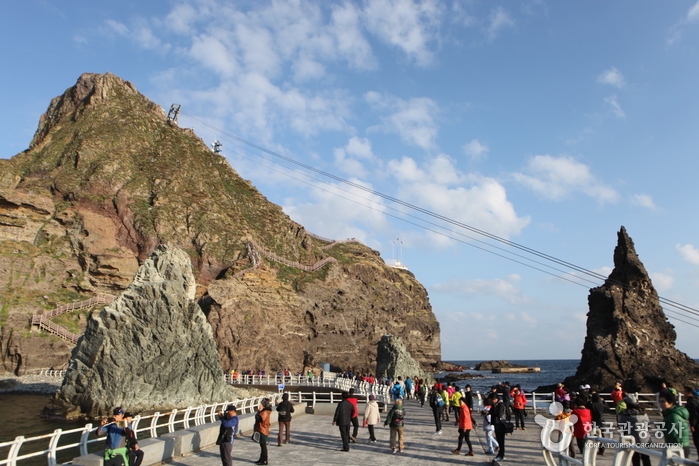 Designated as Natural Monument No. 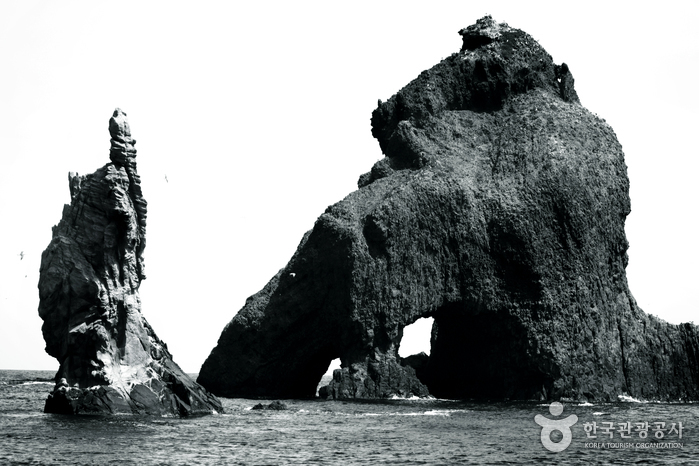 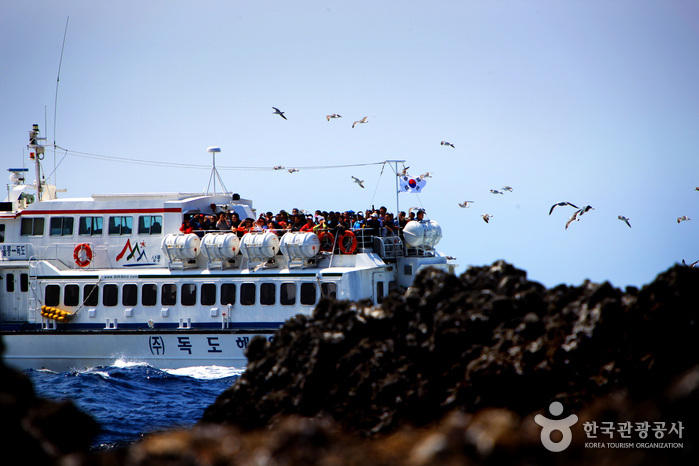 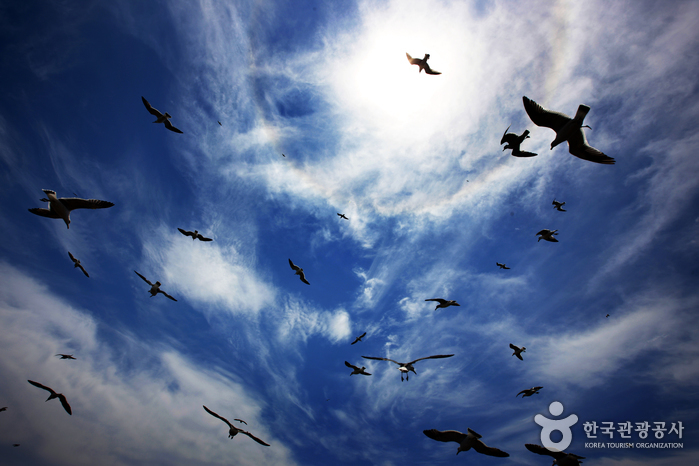 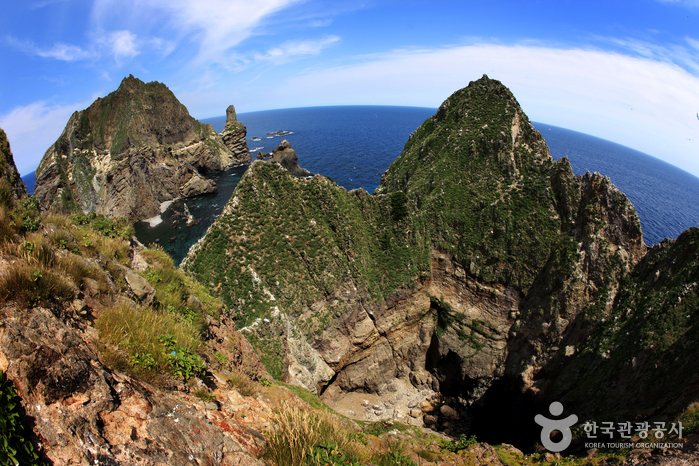 336, Dokdo Island is a protected natural reserve that serves as a home to several rare and endangered bird species. 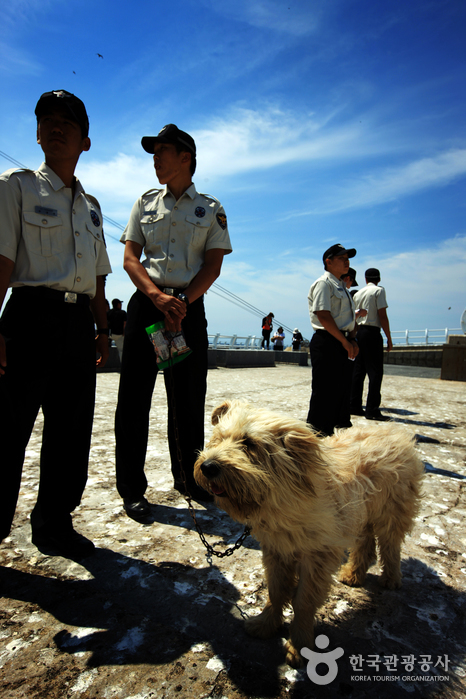 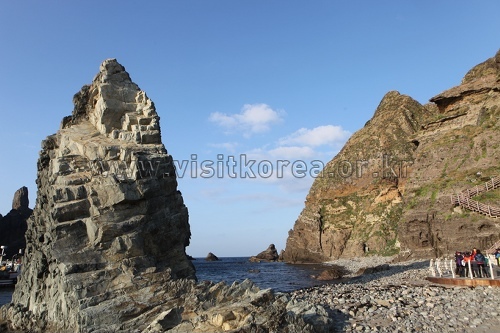 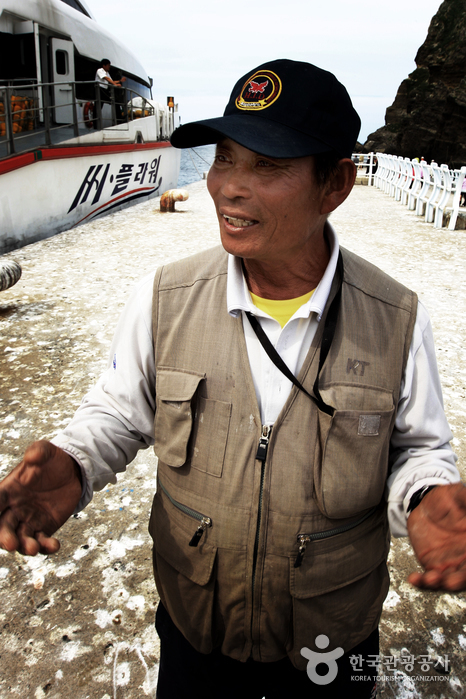 Civilians' access to Dokdo Island was prohibited in accordance with Article 33 of Cultural Heritage Protection Act until March 24, 2005, when adjustments were made with the law, granting the public access to Dongdo and Seodo Islands under certain conditions. 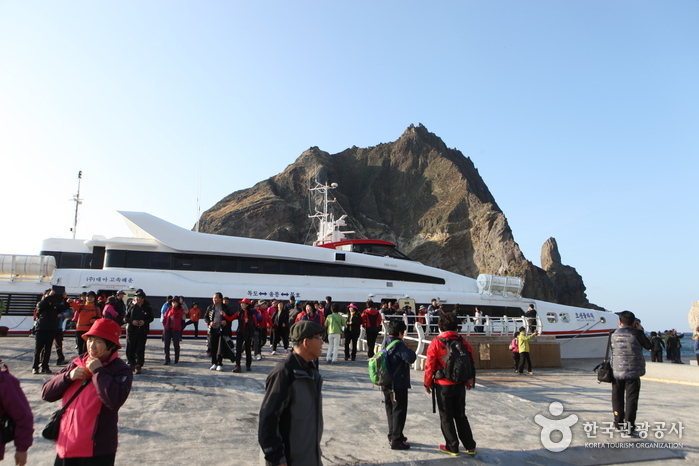 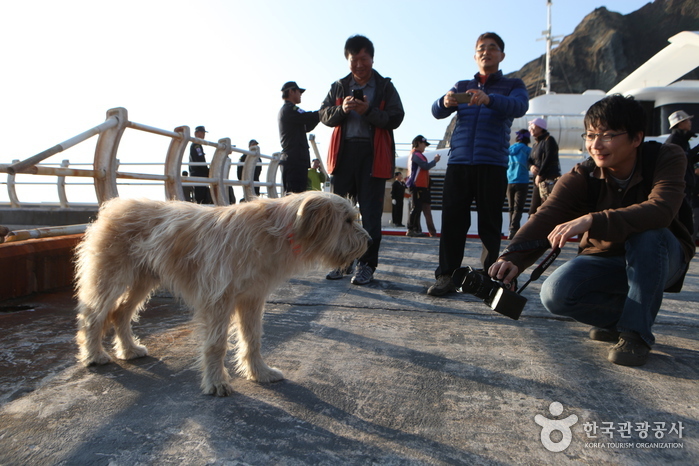 Since then, continuous adjustments have been made, such as abolishing the number restriction of daily visitors, allowing more visitors to appreciate the beauty of Dokdo Island. 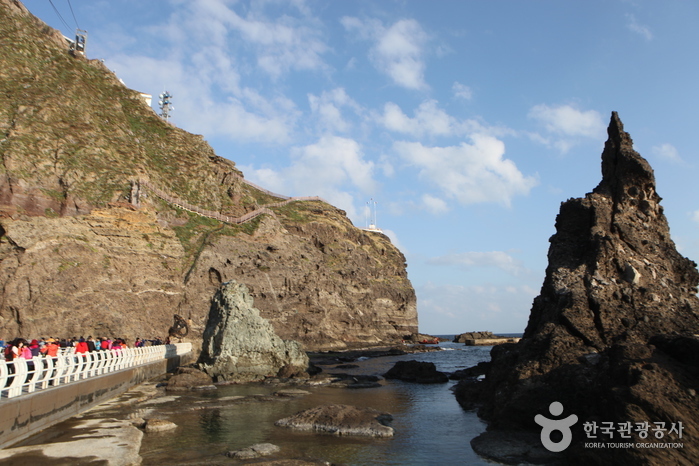 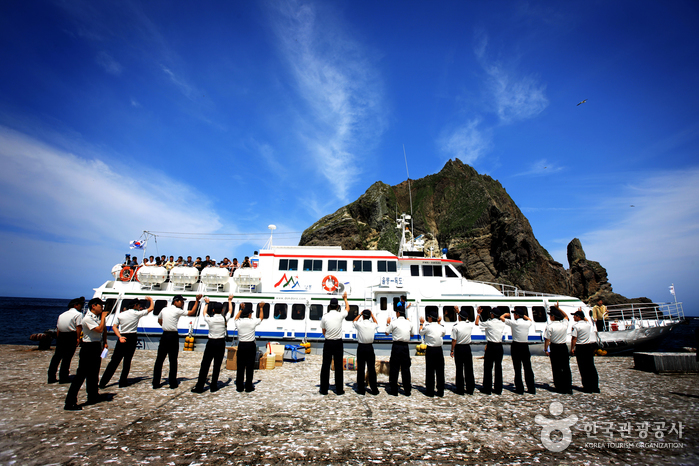 Dongdo Island, located on the southeastern coast, has a circumference of 2.8 km and a surface area of 73,297㎡ with its highest peak reaching 98.6 m. It also has a lighthouse and a wharf along with other marine and fishery facilities. 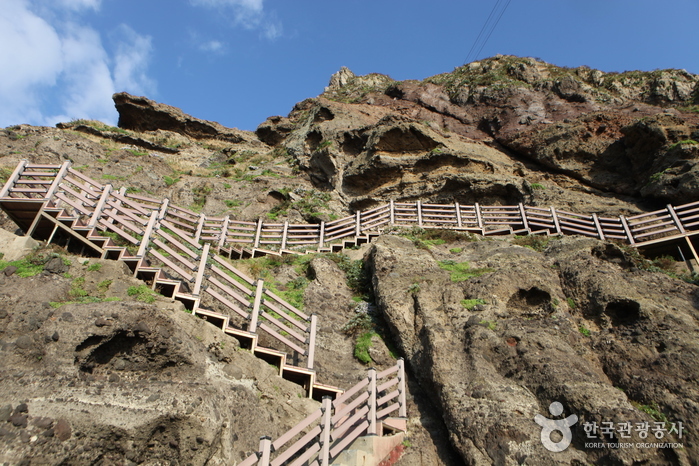 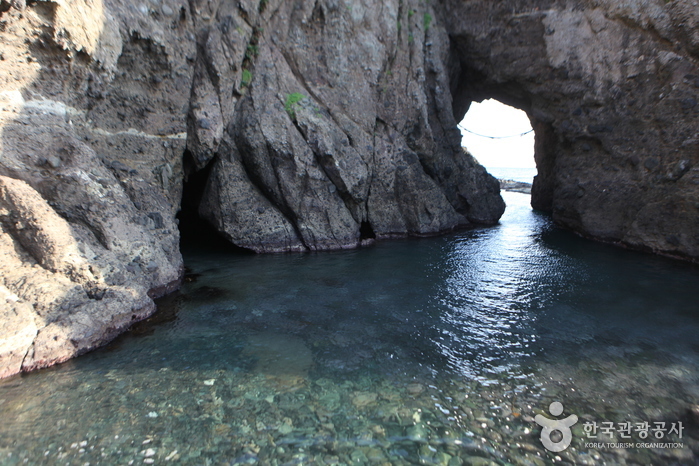 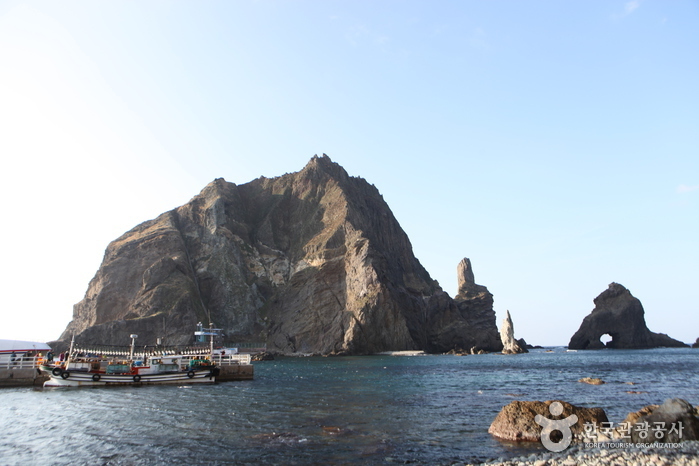 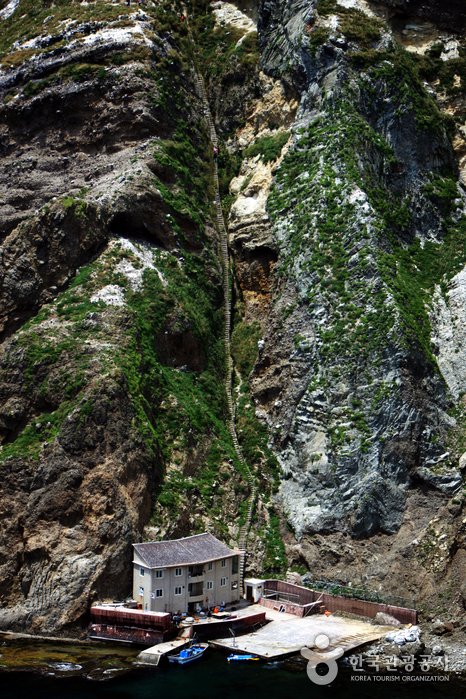 As for Seodo Island, located on the northwestern coast, it has a circumference of 2.6 km and a surface area of 88,740㎡ with the highest peak reaching 168.5 m. Seodo Island houses living quarters of Dokdo Island's residents, where fishers seek shelter in case of an emergency. 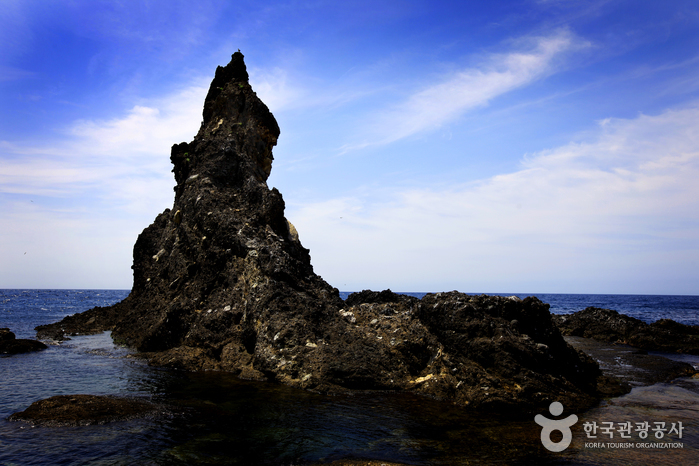 Several uniquely shaped rock formations are scattered surrounding the two major islands, such as Gajaebawi Rock, Chotdaebawi Rock, and Eolgulbawi Rock to name a few. 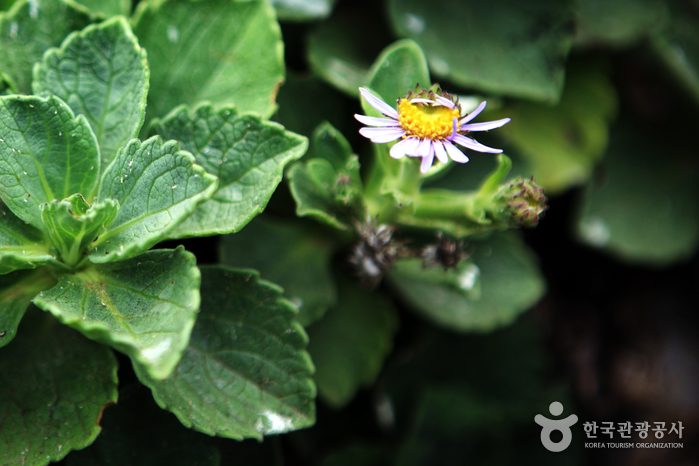 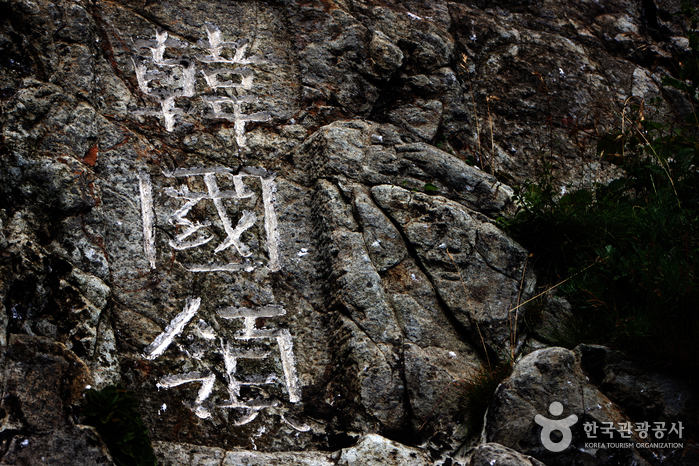 The total surface area of all the rocks combined is 25,517㎡.